Welcome in a very french boutique hotel in Paris, a word away from many people’s idea of a typical Parisian hotel. 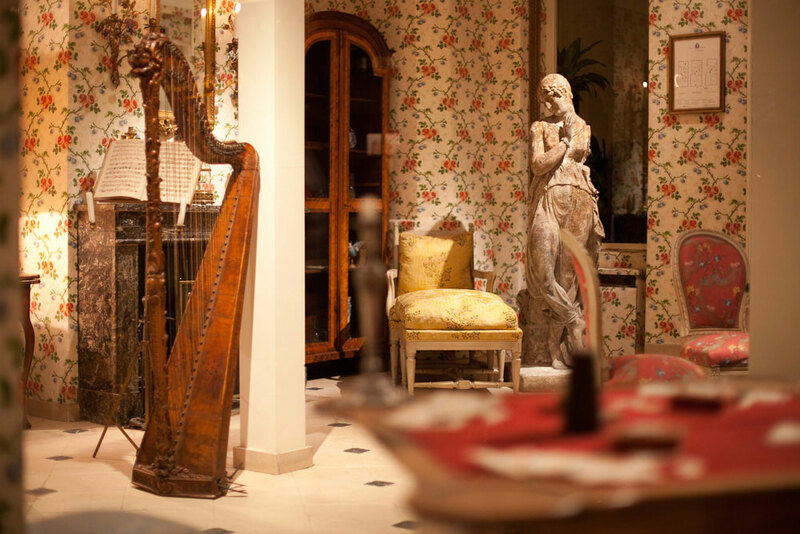 Hotel Caron de Beaumarchais is a romantic phantasy for people who like to experiment culture, for art lovers and lovers of history, a romantic hideaway in a historic quarter, The Marais. We have set out to create the kind of accommodation we ourselves would love to find in the heart of one of the world’s great cities. A hotel quintessentially french just as one would hope to find in Paris. A hotel with a truly atmosphere, tastefully appointed with some extravagance, as far as possible from decoration, far away from the anonymous and coldness of design hotels. A ‘home hotel’ more than a ‘boutique hotel’, a hotel away from fashion in the trendy Marais. A hotel with a friendly efficient service. 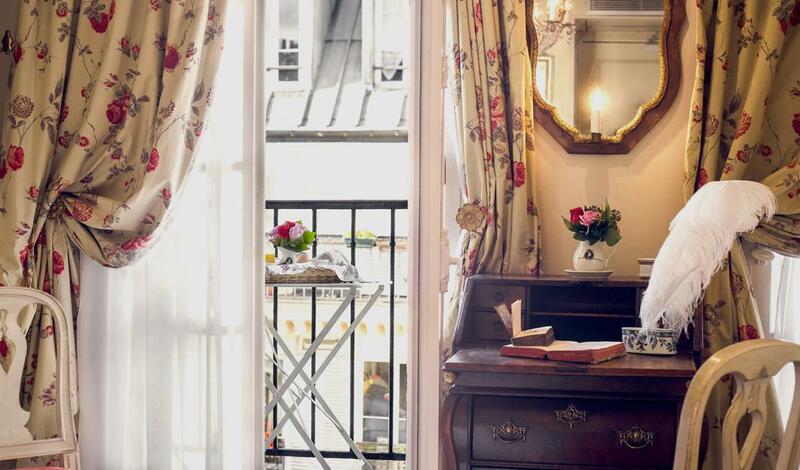 Beaumarchais opens the door of a hotel for a joyful discovery of France, of Paris and the Marais quarter. 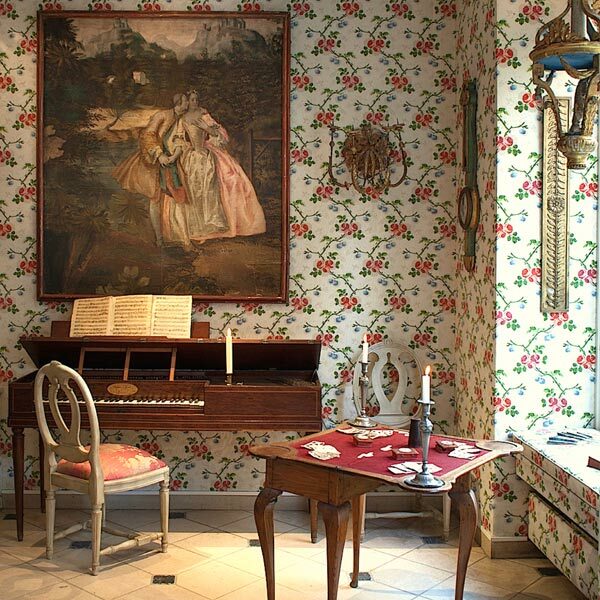 We followed Beaumarchais in the seduction and create a kind of hotel boudoir, a cheerful phantasy, to be sure we won’t take ourselves too seriously. For people don’t want everything to be the same, for those of you who wish to travel back in history and experience the lifestyle and magnificence of 18th century Paris, then you are for a treat. - USB charger devices at your bedside. Sensible to the needs of persons with disabilities, the hotel is not accessible for people with reduced mobility. Accessibility: we advise you to contact the hotel before reserving. 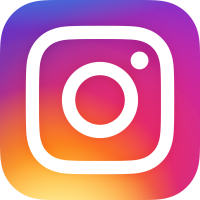 We will be in a better position to welcome you. Hôtel Caron de Beaumarchais is located in The Marais, one of the most cultural and trendiest quarter of the historical center of Paris. The hotel is near the Place des Vosges, the crown jewell of the area and one of the oldest squares in Paris. 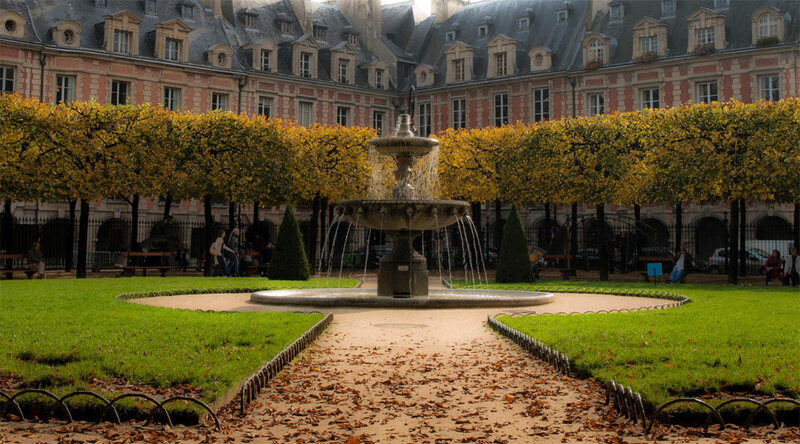 The Marais is wellknow for a rich heritage of mansions of the 17th and 18th centuries transformed into famous museums: Musée Picasso, Musée Carnavalet, Musée Cognacq Jay. With its unique atmosphere, thousand of new boutiques, art galleries, countless bars and clubs, shops open Sunday’s, the Marais is today one of the most attractive and fashionable area of Paris. That makes the location of the hotel in Paris center unbeatable. 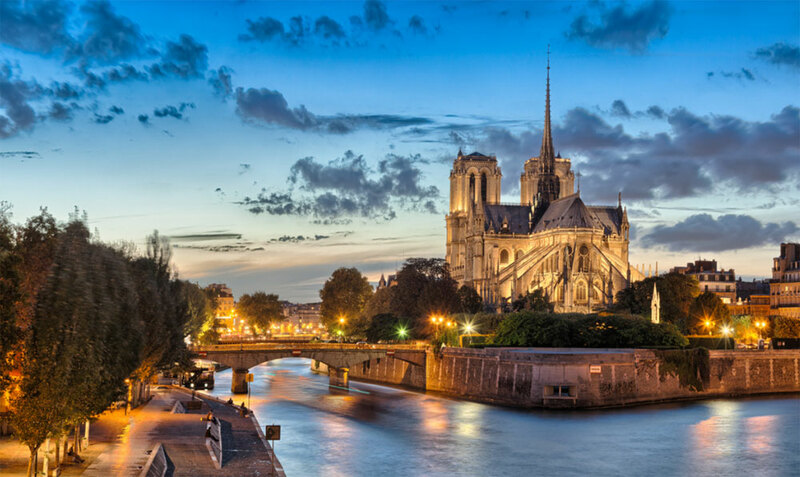 The hotel is near rue de Rivoli, 2 steps from Notre Dame, the Sainte-Chapelle and the river Seine. Ideal for a romantic cruise and to enjoy, at the door of the hotel, the most most beautiful views of Paris. 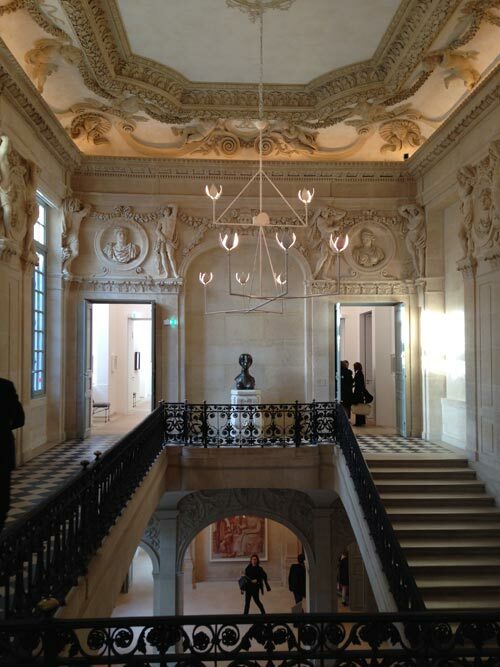 You will discover a Beaumarchais hotel, a time travel hotel with a story to tell : the amazing life of Beaumarchais. You will be made welcome into a fancy museum hotel with a piano-forte of 1792, a harp – reminding that Beaumarchais was the harp teacher of Louis XV’s daughters -, a card table set up for a game, an impressive chandelier, an antique fireplace. You will be the guests of a typical parisian french style hotel, affordable and cosy. An unusual place to stay in Paris. Hôtel Caron de Beaumarchais has just 19 rooms. Every room is a tribute to 18th century charm and elegance. Very french, the rooms at Caron de Beaumarchais are what you would expect from a historic hotel in Paris, from a stylish hotel not grand but full of character. The hotel has 2 types of room, the font-side rooms, larger, in true french style, the rear-side rooms, smaller but quaint and very parisian, heaven of peace and calm. Each room, with antique beamed ceilings come adorned with luxurious baroque style touches as beautiful fabrics, antique furniture, crystal chandeliers, period paintings. Refined touches runs throughout this charming, quirky parisian boutique hotel like fresh roses in the rooms, french luxury hotel products by Annick Goutal, USB charger devices at your bedsides. Detail, detail, detail : that’s what makes Caron de Beaumarchais so special, that and beeing in the middle of the Marais. If you are looking for unique, individual and unusual hotels in Paris, if you are after an authentic, different experience of travel, this is it. Doesn’t that sound too good to be true? rates under 250 Euros a night.